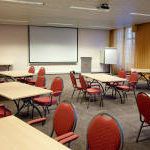 It is a great pleasure for the IASD to welcome you to the wonderful Rolduc Conference Center in the uttermost southeast of the Netherlands for the third time in 2019. 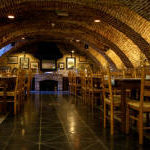 Rolduc has a long and rich history, tracing back to the beginning of the 12th Century. 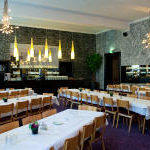 Rolduc is an inspiring area, especially for those who are familiar with dreams and dreaming. Old documents – the ‘Annales Rodenses’ – tell us how a visionary dream of a young monk, the holy Ailbertus of Antoing, appear to have been the cradle of Rolduc Abbey. The ‘Annales Rodenses’ are among the oldest documents known in the Netherlands. They describe the early history of the Abbey of Rolduc between 1104 and 1157, which is summarized below. 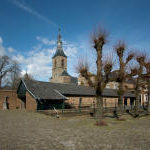 The Rolduc Abbey was founded between 1104 and 1107; however, it received its present days name in the 18th Century. The holy monk Ailbertus of Antoing grew up near the Flemish City Doornik. He had many visionary dreams of the locality of the future Rolduc Abbey. Accompanied by his two brothers Thyemo and Walger and guided by divine powers, he traveled in 1104 AD eastward, crossed forests, valleys and rivers. 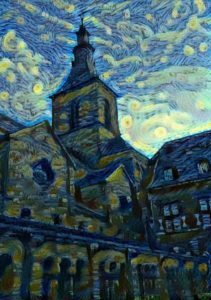 Finally, he recognized the area of the present Rolduc Abbey as it appeared in his dreams, and for which the Almighty had inspired him to build a place of honour for the Almighty. It was a marvelous, flat and lush green area, surrounded by trees, and abundant springs and rivers in the vicinity. He raised his hands, thanked the Almighty on his knees for his visionary dreams. At the same moment, ringing bells sounded from under the Earth. His brothers confirmed later that they also heard the bells. 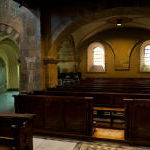 In the same year 1104, he settled with his two brothers and built a wooden chapel at the place of the present-day crypt. The Annales report further that local people were already familiar with this holy place for many years. Inhabitants assured him that they had frequently witnessed remarkable and holy appearances. Local shepherds also told him that they frequently heard angels singing lovely songs, which confirmed the holy destination of this place. In 1105 Ailbertus wanted to return to his homeland, but then an angel appeared in his dreams and inspired him to build another church in Elsbeke (Belgium). After a while, his feelings turned him back to Rolduc. 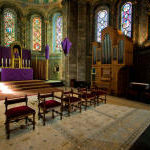 In 1106 he started building the choir, made of stones, with the intention to build a complete church. In the same year he developed a huge farm for food supply to the monastery, because local people were suffering and starving. After a while, with help of the mighty noble Embrico, who decided to devote his life to the monastery, they broke down the choir of stones, and started to build the crypt, which was the first step towards a much larger church. Next to the crypt, the foundations were laid for a Longobardian type church. Due to lack of experience this building was not very comfortable for praying monks. Then in 1108, the crypt and the place of the future church were sanctified. However, Ailbertus and Embrico had entirely different philosophies about the future monastery. Embrico tolerated nuns in the monastery, whereas Ailbertus was convinced that woman and men should not share the space of the holy monastery. This, and other controversies led to a deep conflict. Ailbertus went to France, devoted his life to God, and died in 1122. Embrico continued to live in the Rolduc monastery. The first years were unfortunate for Rolduc, with ailments and hardship, which were considered a divine punishment for the departure of the holy Ailbertus. After several years of poverty and stagnation the monastery built a separate home for the nuns, received many donations from nobles and became a powerful and influential institute. During the 12th and 13th centuries the abbey flourished. In the 14th, 15th and 16th centuries times were harder for the abbey, in both spiritual and material terms. The buildings were heavily damaged during the 80 Years War. Materially, the abbey began to prosper again in the late 17th century, when revenue was generated by the exploitation of coal mines. Around 1775, Rolduc employed 350 mine workers! The abbey was dissolved by the French under Napoleon in 1796, and the buildings stood empty for 35 years. 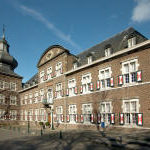 In 1815, when the Kingdom of the Netherlands was formed, the Dutch-German border was drawn through the ancient land of Rode In the 19th century, Rolduc became a famous, influential boarding school run by the Jesuits, and a seminary of the Diocese of Roermond. 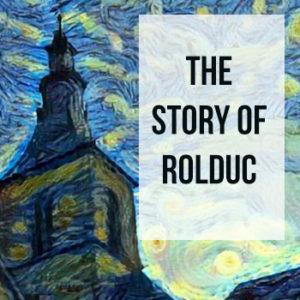 Due to the gradual secularization during the second half of the 20th century in the Netherlands, and the impressive costs for maintenance of the complex, Rolduc had to search for new sources of income. 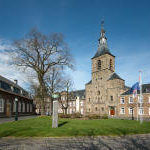 The former abbey is now a huge multi-functional complex with a secondary school, a Roman Catholic seminary, the Rolduc Conference Center, an exhibition area, a pub, a restaurant, a hotel, a renowned center for cultural activities, a brewery, and several smaller facilities. The oldest part of the today’s abbey is the Roman Church, build above the crypt, which was restored several times. It is the oldest Roman Church in the Netherlands. These buildings, together with the Aula Minor, are situated around a peaceful courtyard and surrounded by gardens and forests. Ailbertus might never had dreamed that this monumental building could come into being. But dreams are powerful. So who knows? One day your dreams may come true as well. Rolduc is located near the Dutch-Belgian-German triple boundary at Vaals and Aachen (7 and 4 miles, respectively). 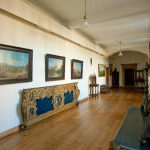 The so-called Euregio Area has a rich, documented history, highlights of which date back to the stone ages. At 5000 BC, the area would have been in the Neolithic, when a chert industry developed; the Roman Period ca 50 AD with Roman settlements in Maastricht and Coriovallum (Heerlen); and the Middle Ages (Carolus Magnus, 9th century, built the dome of Aachen). In the vicinity are several of the oldest cities of the Netherlands (Maastricht, 20 miles), Germany (Aachen, 6 miles) and Belgium (Tongeren, 25 miles), all of which are worth visiting.